Team USA is going to Germany to reclaim the Peter Chamberlain Trophy at the Motocross of Nations, and Racer X is going along to represent on the infield. Our goal is to join forces with Team Ireland (our second favorite team!) and once again try to liberate the beer tent while keeping Cernic from being “that guy” from 'Murrica. And of course, we’ll be cheering for our boys in red-white-and-blue all the while. Somewhere in between all that, we’ll also be gathering some very cool and rare Team USA autographed hats, hoodies, event T-shirts, souvenir programs, and more. Ten lucky subscribers will win those little pieces of MXoN history this week. 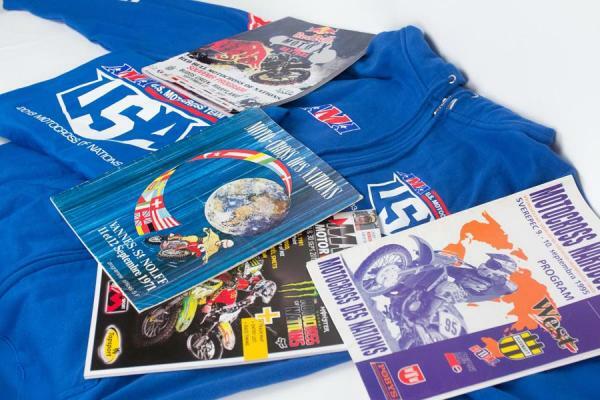 Plus, mx-life.com has given us ten MXoN video passes, so some lucky winners will get to watch the races live this weekend! Just subscribe or renew now for your chance to win!